Avoid the computer center just before dinner - it's the busiest time. 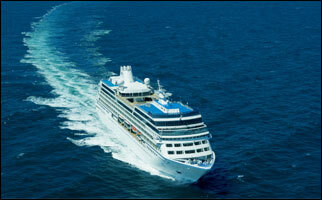 The spa and pool are busiest during sea days - the opposite is true during shore-excursion hours. Reservations are required for the modest-sized Agualina and Prime C specialty restaurants. Make them as soon as you embark as they go quickly. If you don't have one, call the reservations manager on the day of your intended visit to ask if there has been a cancellation. Or, take your chances by dropping by at dinner time to see if a table is available. If none exists, you can always dine at the open-seating Discoveries Restaurant and Windows Cafe. This attractive library is seldom busy - and sometimes you'll have it to yourself. Chairs are comfortable and the ambiance is perfect for reading. Stretch out on the lounge chairs lining either side deck 5's shaded, seldom trafficked outdoor space - or go up to the small, sunny deck 11. There are 10 places onboard where you can order a drink - including the various bars, lounges, and restaurants. Few passengers know you can relax with a drink at a table on the Windows Cafe's outdoor aft deck between 5 and 6 pm, before the space becomes primarily a dining area. The sea views and fresh breeze inspire. It's 100% resort casual. The vast majority of the passengers I met were pleased there was no formal night because it made packing lighter and created a more laid-back atmosphere.